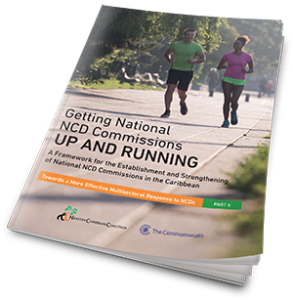 Getting National NCD Commissions Up and Running is a publication, developed in partnership with the Commonwealth Secretariat, is the second of a two-part series on NNCDCs. 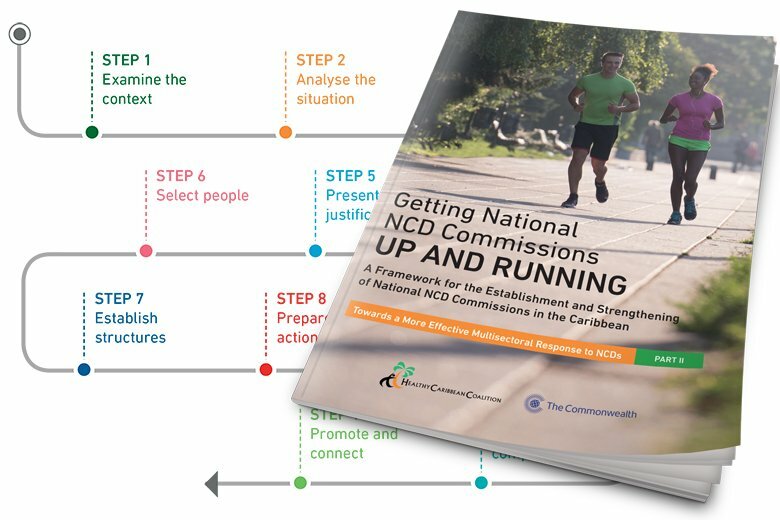 Part I: ‘A Civil Society Report on National NCD Commissions in the Caribbean: Towards a More Effective Multisectoral Response to NCDs‘, provides a detailed assessment of the status of National NCD Commissions in CARICOM Member States (MS). Part II provides practical guidance for the establishment and strengthening of NNCDCs (or their equivalents) based on the experiences of past and existing Commissions in the region, as presented in Part I. The two part series of reports has been prepared by, and viewed through the lens of, civil society. It has been produced for the Caribbean – Small Island Developing States ranging from low- to high-income but has wider applicability. The HCC looks forward to working with, and supporting the further establishment and strengthening of, National NCD Commissions in the region, in collaboration with Ministries of Health, civil society organisations, appropriate private sector partners, regional institutions, and international agencies.